Hello everyone, Panda here with another review! 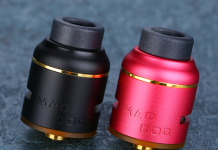 This time we are looking at a mechanical mod kit that comes with a matching RDA from Atomvapes. 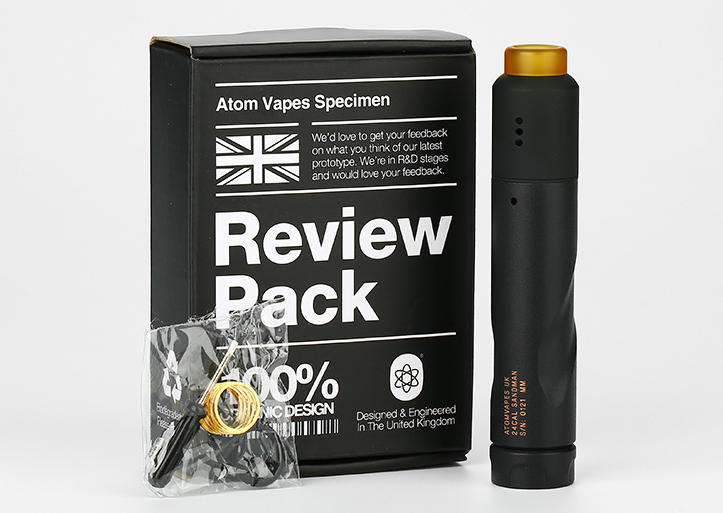 Designed by Morten Oen & Atomvapes, the ATOM Sandman Mech Kit consists of a Sandman Mech MOD and a Njord RDA. ATOM Sandman Mech Kit Specs and Features! I will say right up front that I have extreme polar opposite opinions about the two pieces of this kit. To me, the mod and the RDA are on the opposite ends of the quality spectrum. There are some common features to be praised on both devices such as build quality, the excellent powder coating, and high-quality materials. However, when it comes to functionality they are not even in the same league. 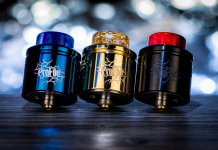 So let’s get into the review and we will start with the bad news, let’s talk about the Njord RDA. 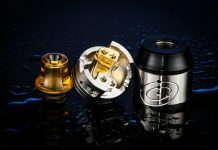 There is no doubt about it, this RDA is gorgeous. From the actual design to the paint it screams quality. Taking off the top cap you see a very unique design with a two-post single vertical coil deck. It comes with a spaced Clapton variant installed. So, it looks nice but how does it vape? BADLY! Unfortunately, the Njord is a huge disappointment. It lacks flavor, clouds, really any redeeming value. It lacks the airflow to get a nice deep lung hit but is too airy for a mouth to lung. The deck is very large and has a ton of negative space that a single vertical coil just does not fill causing the flavor to be muted to the point of non-existence. I tried over a dozen different builds and wick setups and to no avail, the Njord is just bad. Ok the Njord is terrible but it is sitting on this mech mod called the Sandman, how is that? I LOVE this mod. It is honestly one of the best mechanical mods I have used all year. From the awesome curves to the exquisite powder coating and the swirl of color paint on the switch it is aesthetically stunning. This beauty extends to the interior, butter smooth threads in the switch and hybrid 510 connection and top-notch copper make this mod a welcome addition to my rotation. 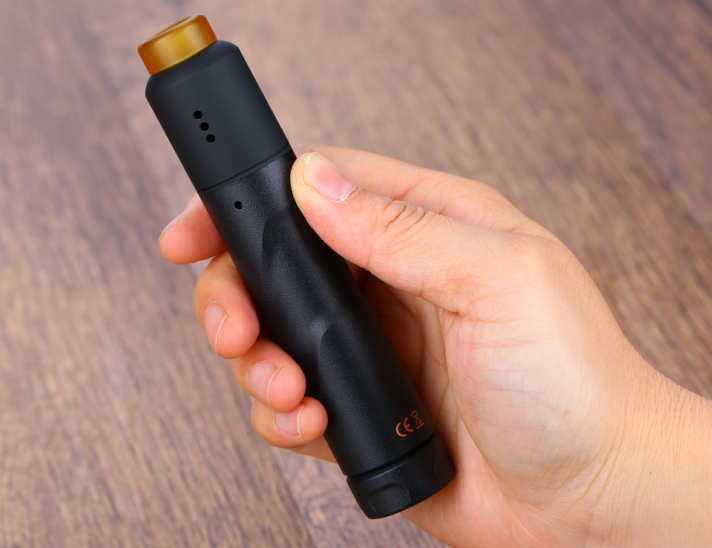 The button has a really interesting tri pin design to give the mod three points of electrical connection and a smooth but firm amount of throw. It hits as hard as any mod I have ever used and seems to have an absolute minimum amount of voltage loss at the 510. 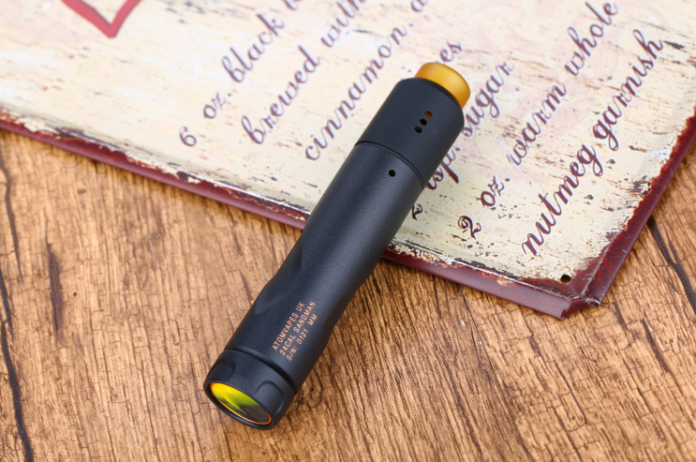 It is a mech mod lovers dream, a very high functioning device for a budget price. This has become my absolute favorite mod and is my new daily carry. BUY THIS MOD NOW! Honestly, I can not recommend this enough, it is hitting way above its weight, this is the kind of performance that I would expect out of my $300 mod for a fraction of the cost. In the end, would I recommend this kit? Well, I would say that if you can buy the Sandman by itself that is the best value proposition, however, if you can only get it as a combo kit with the Njord it is still absolutely worth every penny. The Sandman Mechanical Mod is an absolute beast both in raw performance and in sheer value! It is by far my favorite device of 2018. It looks sleek and seductive and offers pure power at your fingertips. For a final score I give the Njord RDA: 0 / 5 Terrible! 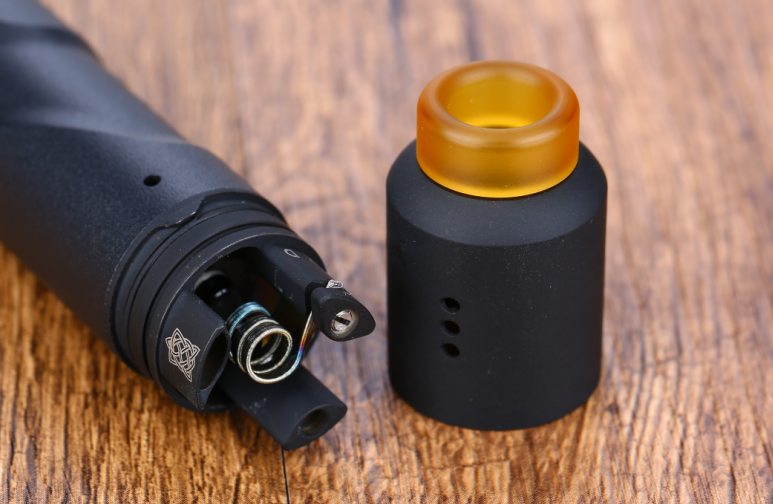 The Sandman mech Mod Gets a: 5 / 5 Terrific! I am Maria LeBron. I smoked cigarettes for so many years. I never thought I would quit, till I tried vaping. I haven’t thought about smoking ever since and that was about a year ago. When I enjoy something I put all my energy into it so I made my channel on YouTube. I wanted to share my opinion on the products I enjoyed using that being e-liquids and hardware. Helping people buy the right products so they stay away from going back to smoking cigarettes.